LimbPower will be hosting the LimbPower Games at Stoke Mandeville Stadium, Aylesbury on Saturday 6th and Sunday 7th April 2019. Completed forms with payment must be returned to LimbPower by Friday 4th May 2018 to secure your place. The Games are open to adults over the age of 18 with a limb impairment. You may enter as part of a team (a minimum of five people) or as an individual. The sports on offer include athletics, archery, badminton, climbing, cycling, cricket, football, sitting volleyball, tennis and wheelchair basketball. * Please note this programme is subject to change and will be finalised two weeks prior to the event. £25 entry fee (includes packed lunch on both days & a LimbPower t-shirt). Concessions available. £22.50 for LimbPower members (please quote your membership number). Free parking is available on-site. Please make a note of your car registration as you may be required to register your car number plate at reception. A packed lunch and water are provided for each athlete taking part in the Games. Please note, LimbPower do not provide lunch for partners or carers, only for the participant who has paid the Event Entry Fee. Snacks and refreshments can be purchased at the on-site café. 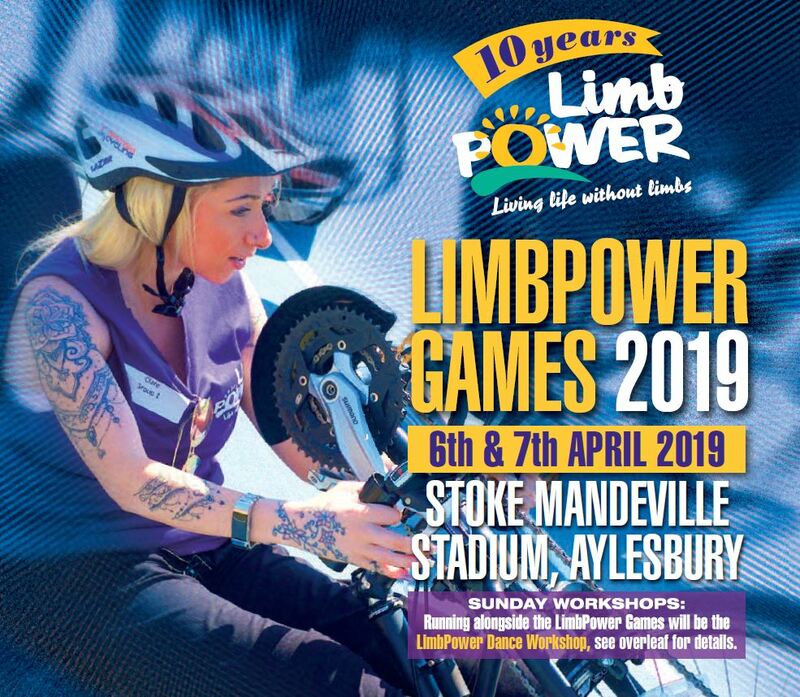 If you need any further information, please do not hesitate to contact LimbPower on 07503 030702 or e-mail andy@limbpower.com. Final details will be sent out two weeks prior to the event. We look forward to welcoming you.